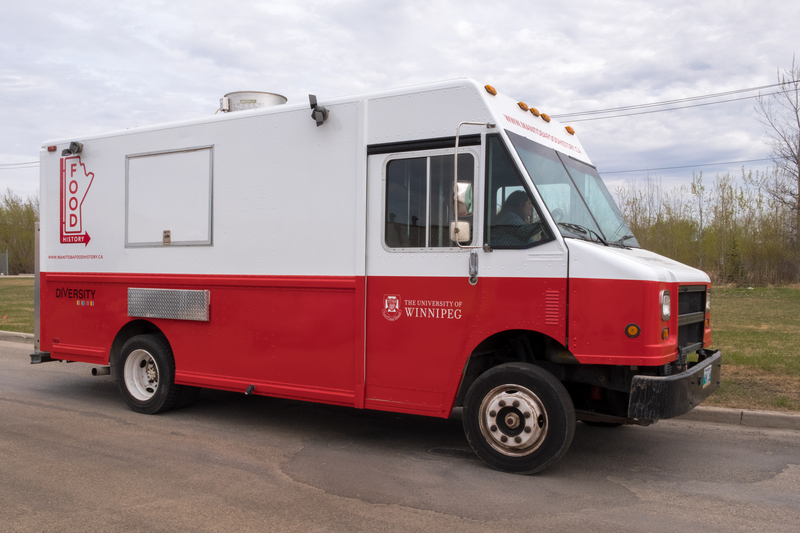 Much of my current research in Manitoba food history is featured at manitobafoodhistory.ca, where you’ll find the Food History Truck, upcoming events, and The Pantry (which holds Story Maps and the project’s podcast series, Preserves). 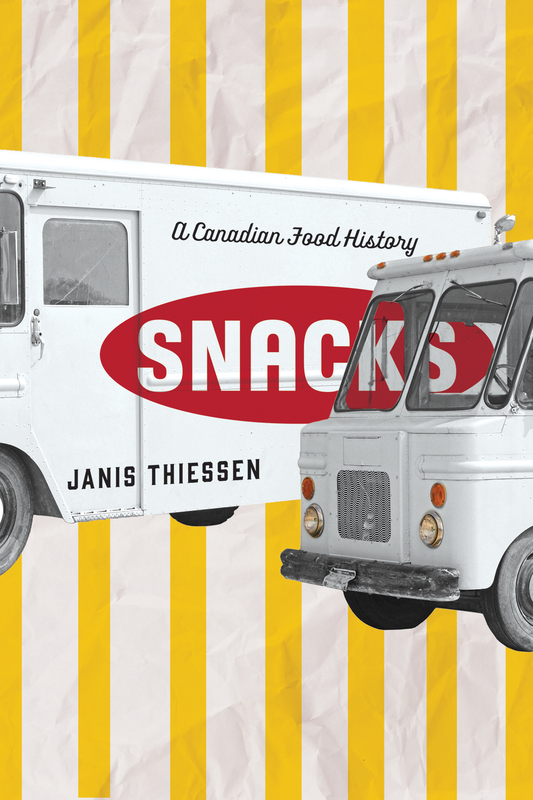 Snacks: A Canadian Food History, published by University of Manitoba Press. Not Talking Union: An Oral History of North American Mennonites and Labour, published by McGill-Queen’s University Press. 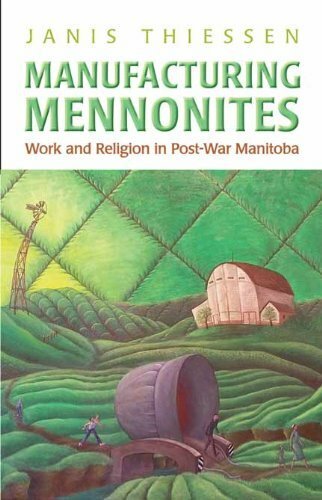 Manufacturing Mennonites: Work and Religion in Post-War Manitoba (part of the Canadian Social History Series), published by University of Toronto Press. Manufacturing Mennonites examines the efforts of Mennonite intellectuals and business leaders to redefine the group’s ethno-religious identity in response to changing economic and social conditions after 1945. As the industrial workplace was one of the most significant venues in which competing identity claims were contested during this period, Janis Thiessen explores how Mennonite workers responded to such redefinitions and how they affected class relations. Through unprecedented access to extensive private company records, Thiessen provides an innovative comparison of three businesses founded, owned, and originally staffed by Mennonites: the printing firm Friesens Corporation, the window manufacturer Loewen, and the furniture manufacturer Palliser. Complemented with interviews with workers, managers, and business owners, Manufacturing Mennonites pioneers two important new trajectories for scholarship – how religion can affect business history, and how class relations have influenced religious history. Necessary Idealism: A History of Westgate Mennonite Collegiate, in press at Canadian Mennonite University Press. “Religious Borderlands and Transnational Networks: The North American Mennonite Student Press in the 1960s.” Chapter in Entangling Migration History: Borderlands and Transnationalism in the United States and Canada, ed. Benjamin Bryce and Alexander Freund (Gainesville FL: University Press of Florida, 2015), 181-206. “Winnipeg’s Palliser Furniture in the Context of Mennonite Views on Industrial Relations, 1974-1996.” Chapter in Prairie Metropolis: New Essays on Winnipeg Social History, Esyllt W. Jones and Gerald Friesen, eds. (Winnipeg: University of Manitoba Press, 2009), 200-222. Recipient of the Carol Shields Winnipeg Book Award 2010. “‘It’s a hard thing to talk about’: ‘Fringe’ Mennonite Religious Beliefs and Experiences.” Journal of Mennonite Studies 33 (2015): 189-209. “From Faith to Food: Using Oral History to Study Corporate Mythology at Canadian Manufacturing Firms.” Oral History 42 no. 2 (Spring 2014): 59-72. “Education for Identity: A Half Century History of Westgate Mennonite Collegiate.” Oral History Forum d’histoire orale Special Issue on Education (2012): 1-19. “Communism and Labor Unions: The Changing Perspectives of Mennonites in Canada and the United States.” Direction 38 no. 1 (Spring 2009): 17-28. “Committed to Christ or Conformed to this World? Postwar Mennonite Responses to Labour Activism.” Studies in Religion/Sciences Religieuses 36 no.2 (2007): 317-338. “Work in Mennonite Theological Perspective.” Canadian Society of Church History Historical Papers (2004): 5-14. “Mennonite Business in Town and City.” Mennonite Quarterly Review 73 no. 3 (July 1999): 585-600. “Business and Labour Relations at Friesens Corporation.” Journal of Mennonite Studies 16 (1998): 181-202.